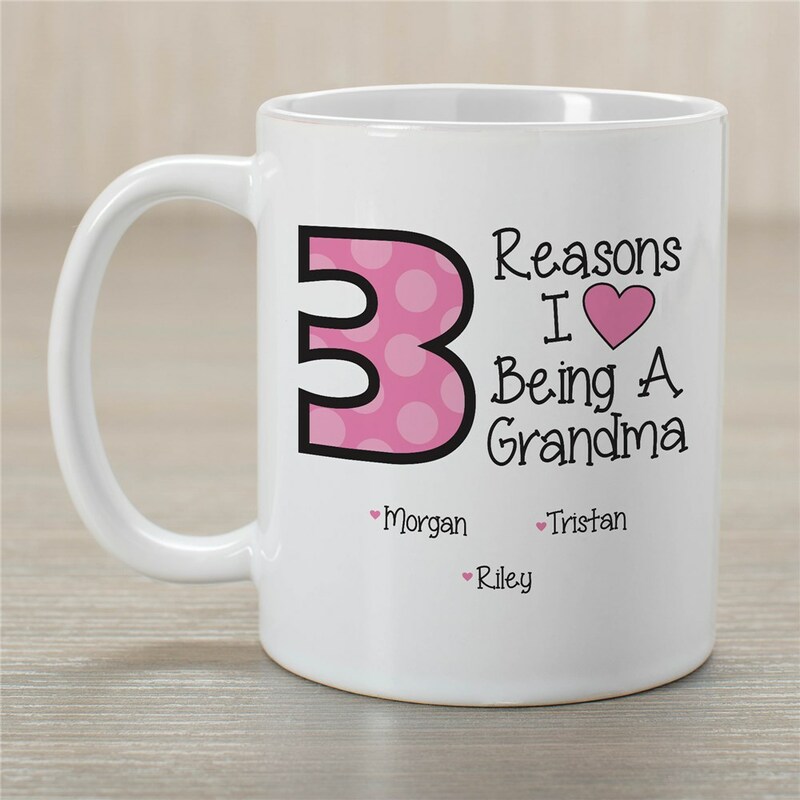 While your Mom, Aunt, or Grandma is enjoying their cup of coffee out of this personalized mug, they'll be able to be reminded of their favorite bundles of joy. Whether you're shopping for Personalized Grandma Gifts, something for Christmas, a birthday, or Mother's Day, this sweet mug will definitely be well-received. This Personalized Mug is dishwasher safe & includes free personalization of any title and up to 15 names. Mugs are available in different sizes ranging from 11 ounces. to 20 ounces. Colorful and cute, perfect memento for a grandma that loves keepsakes. Additional Details Give the lovely ladies in your family a personalized gift from the heart when you present them with this heartfelt mug. Every morning, they can be reminded of the love their family has for them as they have their cup of coffee. Our Personalized Reasons I Love T-Shirt would be another gift option to consider for your Mom, Aunt, or Grandma.